STANDISH — The town has made severance and health care payments to fired Town Manager Kris Tucker, but his lawyer suggests the issue has not been completely settled. “We will be communicating with the town in the coming week about a demand to resolve this matter,” attorney Gregg Frame said in an Aug. 21 email to the Lakes Region Weekly. The council voted 6-1 on July 23 to terminate Tucker’s contract without cause, meaning he was entitled to severance and health care payments. Tucker’s total severance payout was $41,013 and he received nearly $3,000 in health insurance, according to Gesualdi. Of that total severance money, more than $14,000 stemmed from accrued vacation time. The council voted 6-0 Aug. 14 to authorize a contract with Portland-based law firm Eaton Peabody for a new town manager search. Eaton Peabody also led the town’s manager search last year that led to Tucker’s hiring. “With the work that Eaton Peabody has done for us, I’m very comfortable with them doing it for us again,” said Councilor Greg Sirpis at last week’s council meeting. The town will pay Eaton Peabody $4,000 under the contract, with an additional 20 percent in contingency funds authorized should the cost of the search exceed $4,000. The town previously employed Eaton Peabody for $8,000 and Council Chairman Steven Nesbitt said the prior experience and familiarity with the town helps explain why the price tag has been halved. Tucker claimed the employee kicked him from behind in an apparent attempt at humor. Tucker filed a complaint with the Cumberland County Sheriff’s Office, and a Sherriff’s Captain said that as of Aug. 22 the investigation is closed, information was presented to the District Attorney’s Office and no charges have been filed. However, the town clerk responded this week to a follow-up on the information request and said that Standish paid $13,750 to HR Studio Group without specifying why that payment was made. The payment was made in two installments on July 30 and Aug. 22, Gesualdi said. “At this time, there is no lawsuit that has been brought forth,” Nesbitt said Aug. 14. Standish resident Kathy Johnson addressed the council Aug. 20 and recognized Higgins for her service. “I just wanted to say – I know she’s not here tonight to hear it, but hopefully she’ll see it – that I thought she did a great job,” Johnson said, adding that she hoped everyone can work together to improve the situation in town. “I’m going to miss her. I may not have agreed with everything she said, but I thought her intentions were really good,” Johnson said. Nesbitt said last week that Higgins apologized to him when she left her final meeting, an Aug. 7 executive session held the day before she resigned. The council voted 6-0 to accept Higgins resignation, and will appoint her replacement after accepting applications for her Area 1 seat. The future appointee must live in the town’s Area 1 District. “I will miss her as well. I do think it’s a loss, and I wish her the best,” Nesbitt added. Editor’s note: Kris Tucker’s attorney, Gregg Frame, has represented the reporter’s parents in an unrelated property rights case. 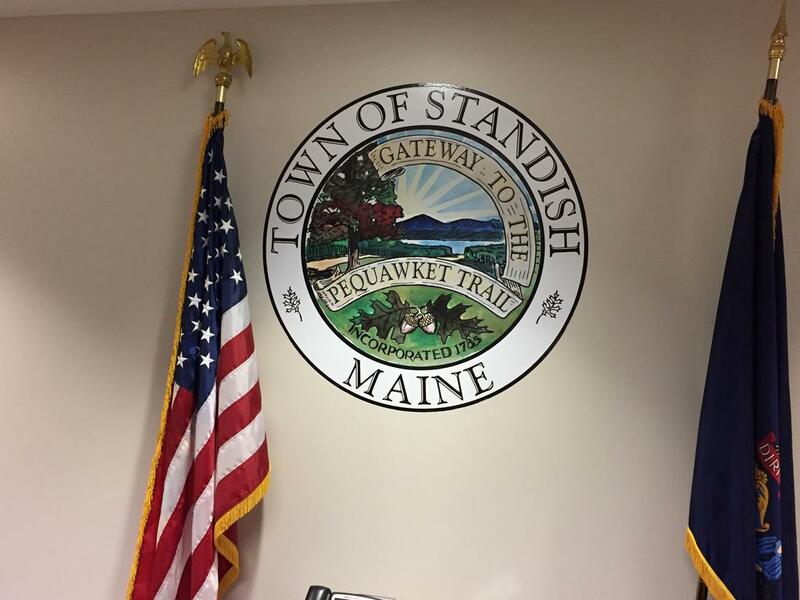 The Town of Standish is looking to fill a vacancies for its Town Manager position and its Area 1 Town Council Seat.